Our fleet of Aluminium boomed Bocker Quicklifters are ideal for light loads with the minimum of fuss or disruption. With the cranes the outriggers can be set in any position and the PLC in the crane will alter the working envelope of the crane to give complete safety. This allows working in tight spaces or the option of leaving the highway open giving considerable cost savings. 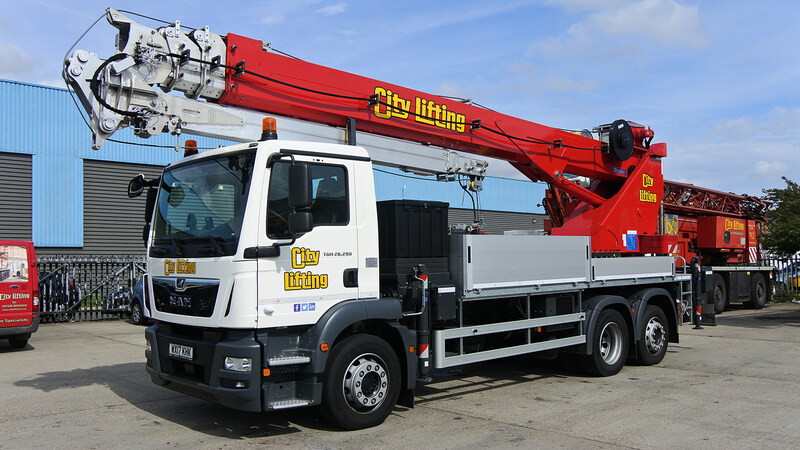 Outrigger loadings and total weight of the vehicle are very light so less mats are needed and these cranes can operate in areas where a standard crane cannot. The Agilo mobile hoist is ideal for putting materials onto roofs, through windows or onto balconies. 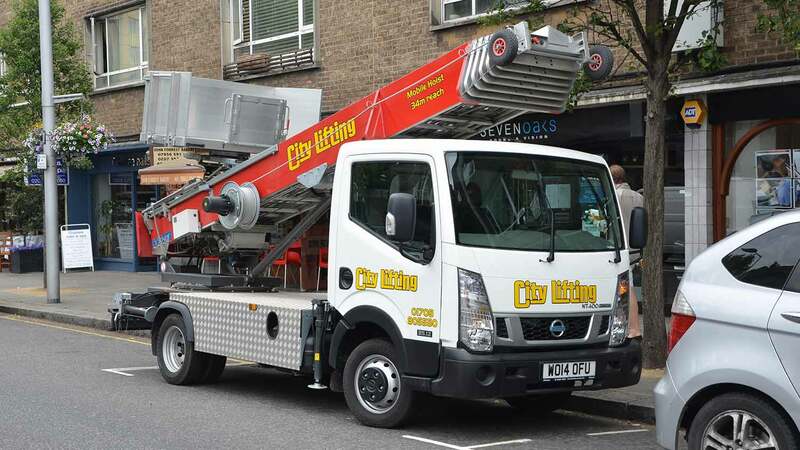 Sets up in minutes and has 400Kg capacity and the platform can be altered depending on what needs to be lifted. Typical applications are furniture into buildings, roofing material and solar cells onto roofs and just about anything that is too big or too much of to carry up the stairs. Saves time, money and is safer than manual handling.